Please find on this page all information, accomodations and activities possible in Crest Voland, at approx. 20 minutes drive to the hot air balloons' take-off place. The staff of the tourist office of Sallanches is happy to answer your questions in the middle town of Crest Voland. 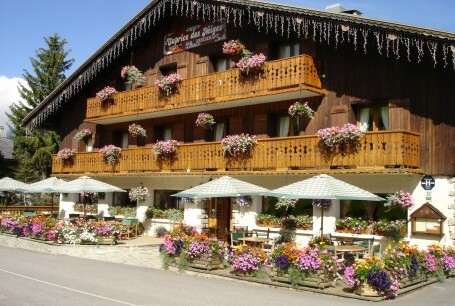 The hotel restaurant welcomes you in a typical chalet build in harmony with the nature around. The must : a swimming pool and a counter-current swim lane with view on the Aravis range! The hotel is located approx 20 minutes drive to the take-off place.